Check for any emails you may have missed. 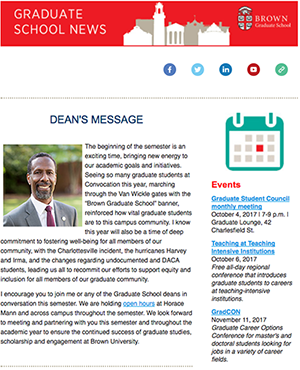 Read updates from the Graduate School including news, events, opportunities and profiles of students, faculty and staff. See student climate and graduate alumni survey results.